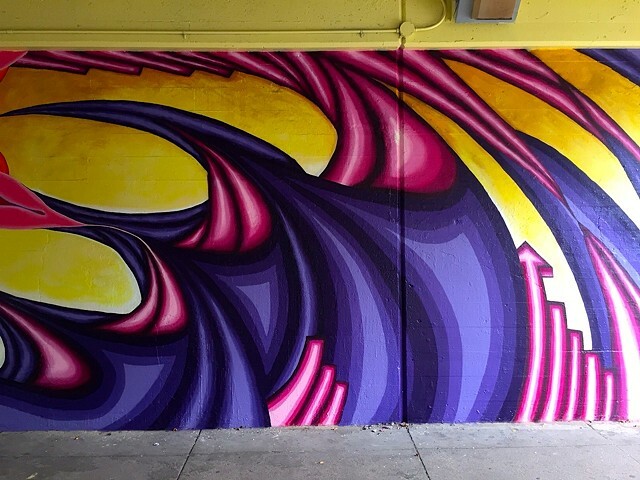 For 2015, artists and Mile of Murals project managers Dustin Harris and Lea Pinsky were given the opportunity to paint. 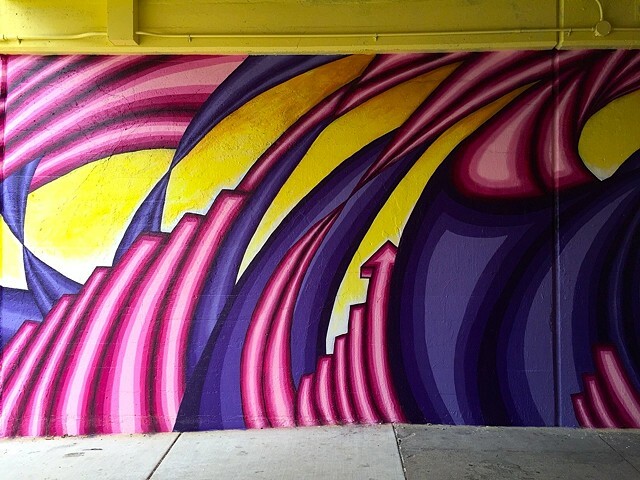 This year's wall was an underpass at the far north bookend of the Mile of Murals at Estes Avenue. Working with a theme of Within/Without, they created a piece that addresses the relationship of oneself to the world. 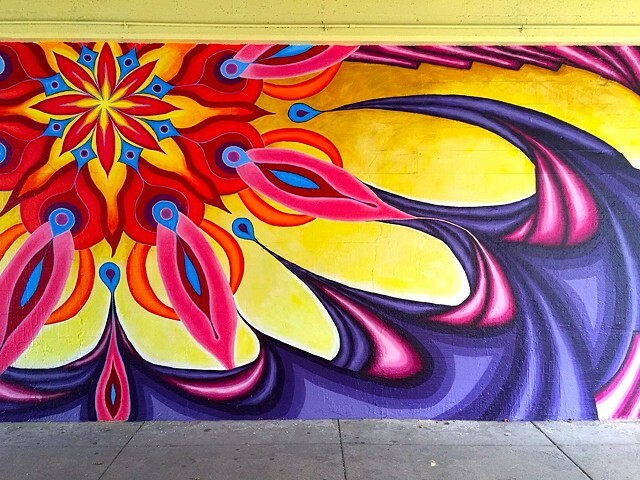 In the center of the mural is large, brightly painted abstract mandala that radiates waves of energy out the edges. 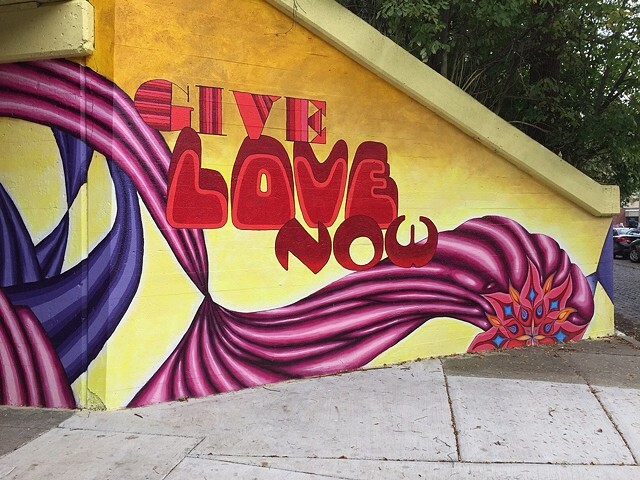 Two statements frame the borders, "Dig Deep Within" and "Give Love Now". 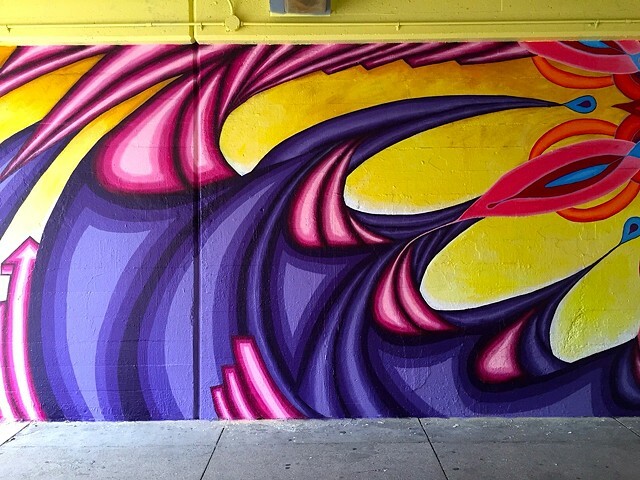 As creative partners, husband and wife artists Dustin Harris and Lea Pinsky work together as Mix Masters Murals. 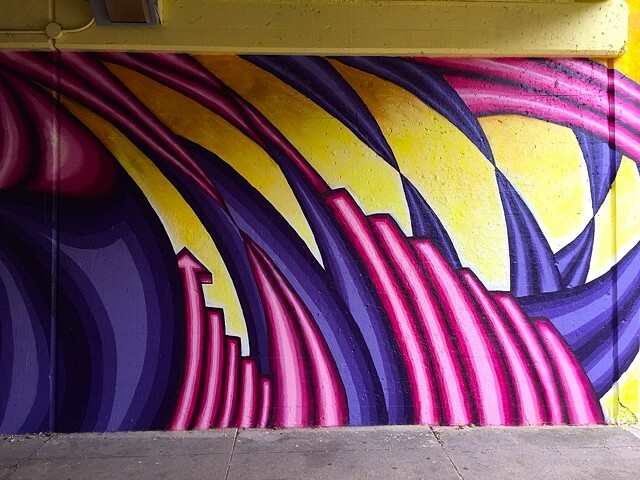 They have a passion for working for and with communities to inspire public spaces with large scale artworks. 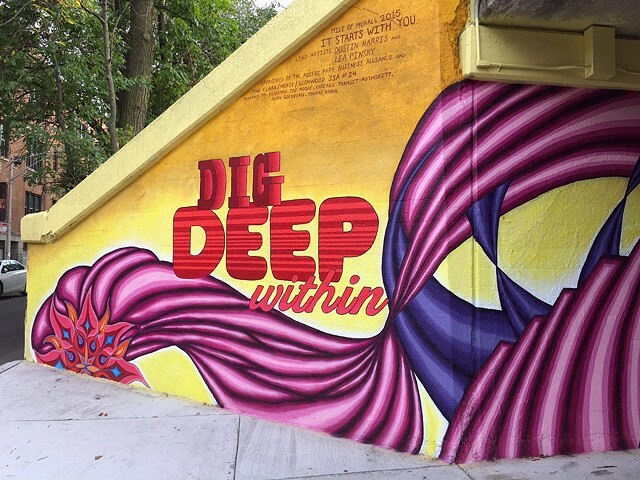 Since 2005 they have led numerous large-scale mural projects in schools, community centers, and public spaces around Chicago. 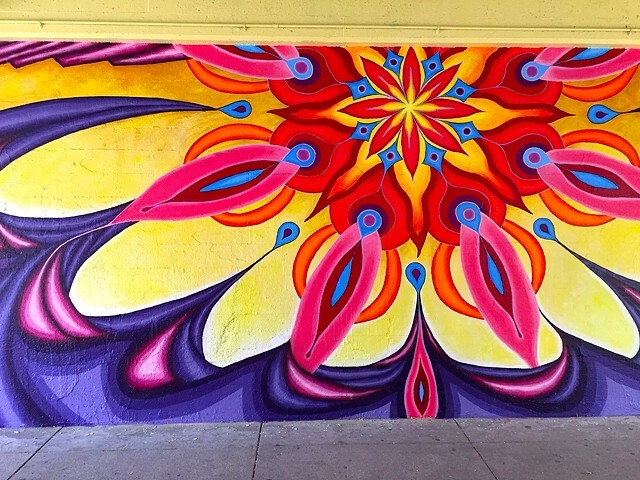 They have served as Mile of Murals project managers since 2009.